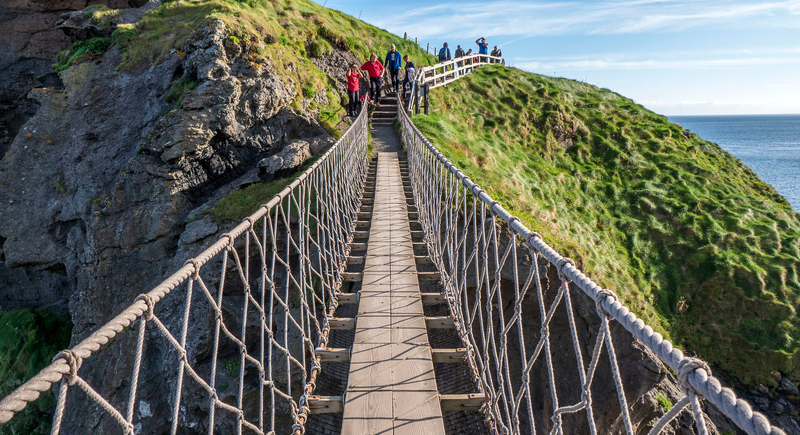 Do you have the courage to walk across this swaying rope bridge? 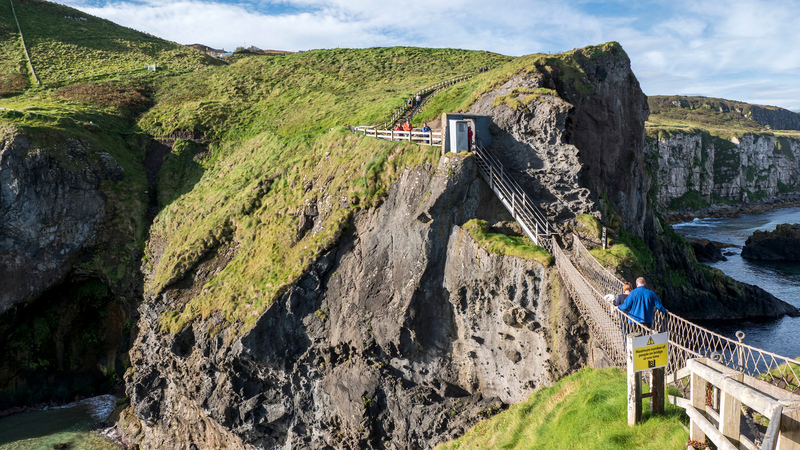 Cross to Carrickarede Island…if you dare! 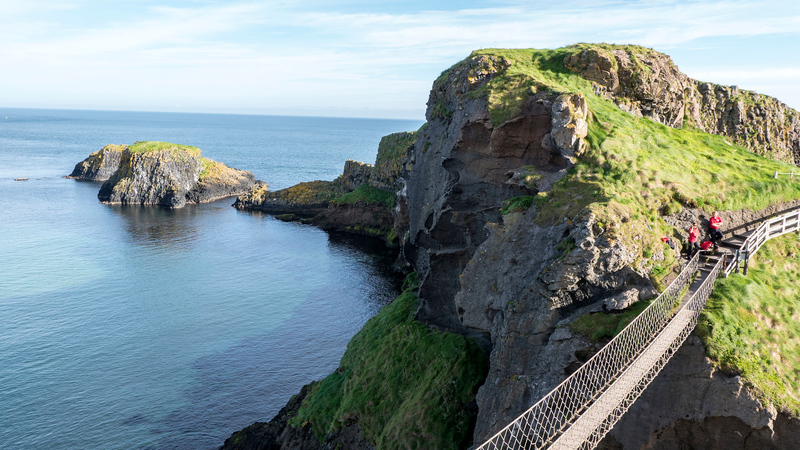 The remote lands beyond the Carrick-a-Rede Rope Bridge beckon you to trek to the other side. Comprised of rope and wooden planks that gently swing back and forth in the breeze, it’s a thrilling journey to navigate. 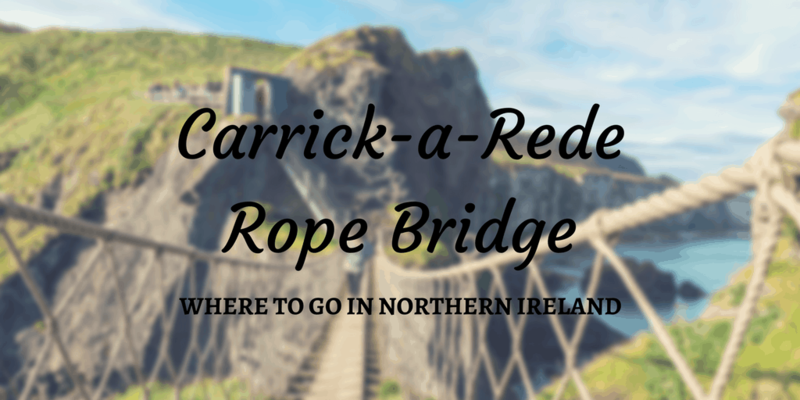 If you only have the opportunity to make a couple of stops on the Causeway Coastal Route, I highly recommend that you make the trip to the Carrick-a-Rede Rope Bridge. 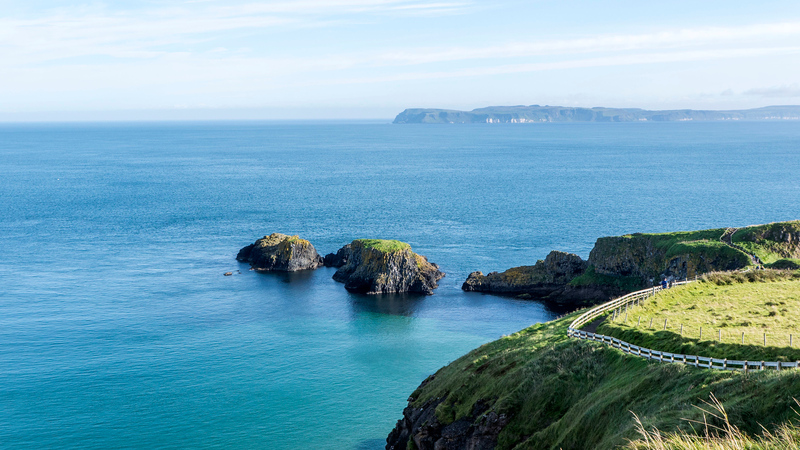 It will surely top your list of where to go in Northern Ireland. Have you gone somewhere dangerous or stepped outside of your comfort zone while travelling? It’s always a good idea to arrive as early as possible to popular tourist sites, especially during a prime time of year. In late September, the attraction wasn’t yet crawling with fellow travellers when it opened at 9:30am. We easily found a parking space and there wasn’t anyone in line at the ticket booth. 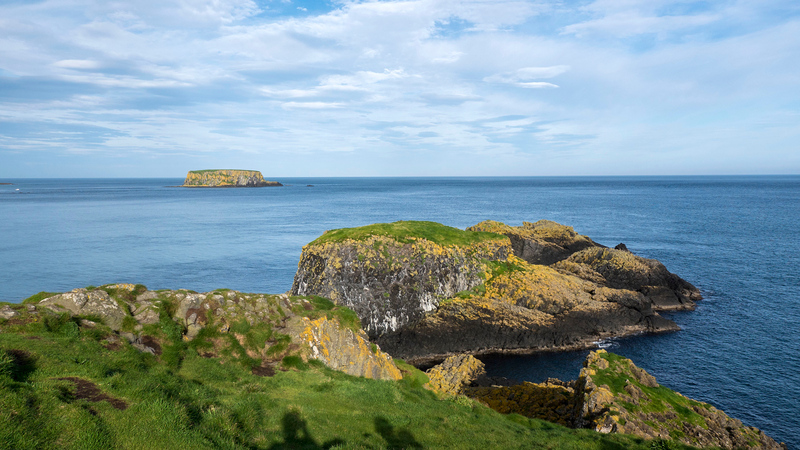 After Ashley and I purchased our tickets, we enjoyed a coastal stroll down a scenic path towards the rope bridge. It was a joy to pass adorable sheep and cows, grazing the fields of neighbouring pastures. 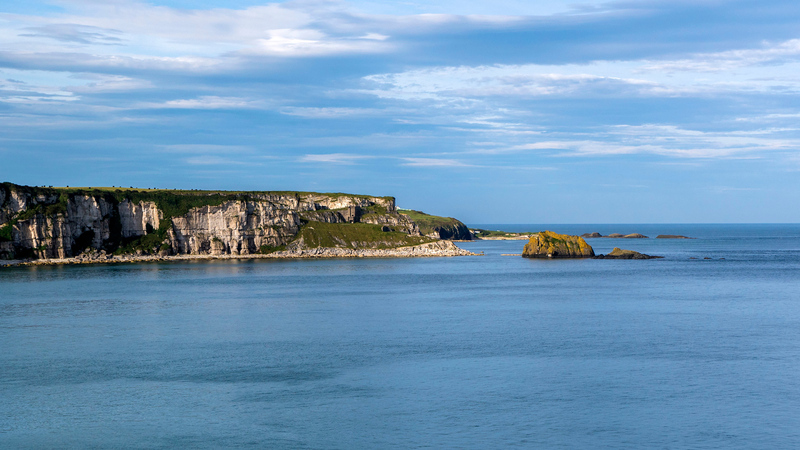 The seaside views were quite spectacular, from the deep blue waters to the faraway expanse, Rathlin Island. 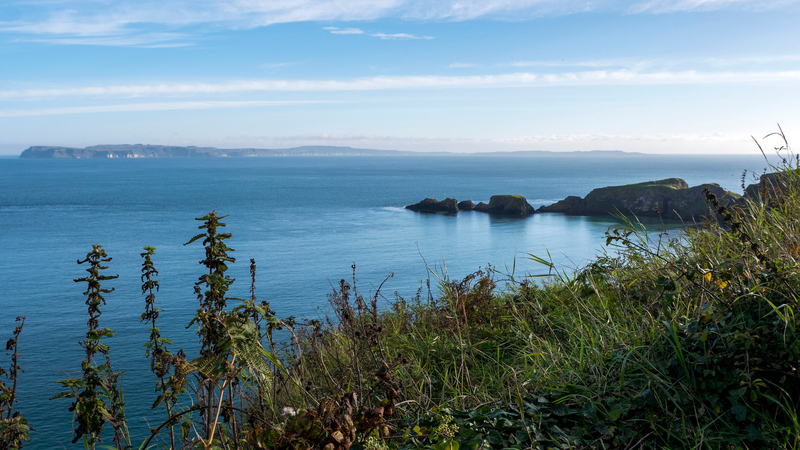 Carrickarede Island gradually emerged into sight, growing closer. The jaunt from the parking lot to the bridge takes approximately 15 to 20 minutes. Did you know that fishermen used bridges to make this crossing for over 350 years? 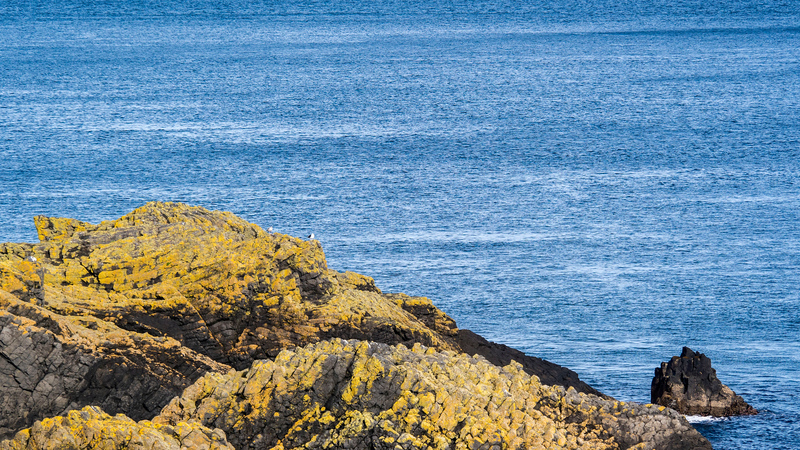 Carrickarede Island was once the best place to catch salmon. As fish migration patterns have changed, it’s no longer a prime fishing location. Now, this island purely attracts those in love with nature, travel, and adventure. Fishermen have constructed many bridges over time, with some being safer than others. In the 1970s, the bridge had sizable gaps between the wooden planks and only one handrail. There were a few new constructs throughout the 2000s, with the most recent bridge secured in 2008. 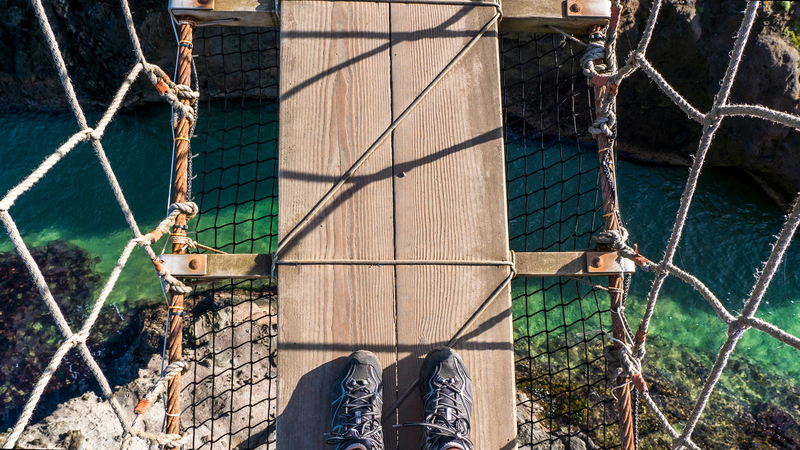 Suspended 100 feet in the air and merely 65 feet in length, it’s all about savouring your adventure across the rope bridge. While I didn’t find it to be that scary, it’s a thrilling experience to look down at the crashing waves through the wooden slats. Even though I loved my walk across the bridge, many visitors are too scared to make the return trip back across and have to be rescued by boat. Don’t worry, I didn’t come across any frightened guests on my trip. Everyone was too busy admiring the exceptionally beautiful views. 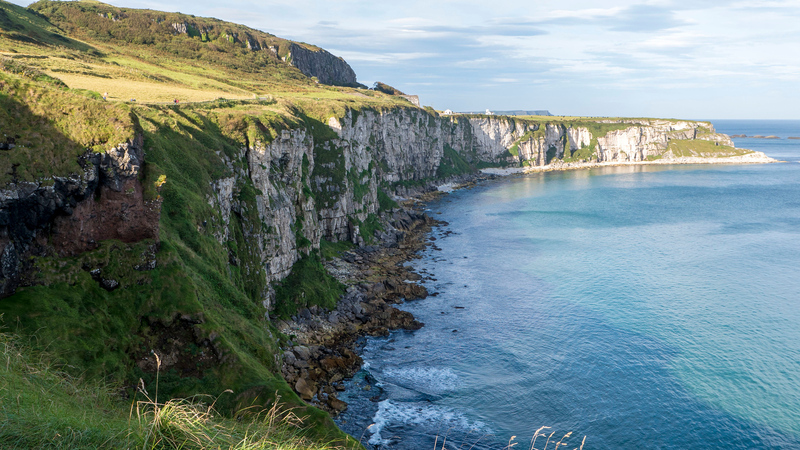 It simply tops the list of where to go in Northern Ireland for gorgeous landscapes. 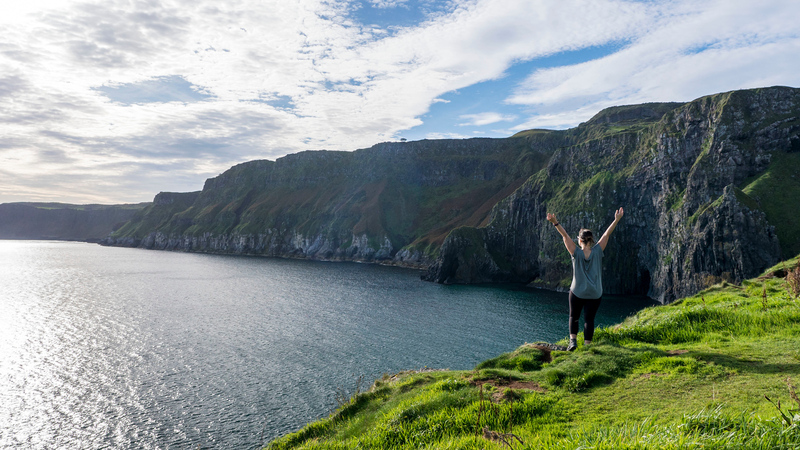 Carrickarede Island is the best instance of a volcanic plug in Northern Ireland. It’s a volcanic object created from magma hardening within the vent of a volcano. This lava neck protrudes from the surface of the ocean due to marine erosion. When you venture out to the island, find your own little peaceful moments. 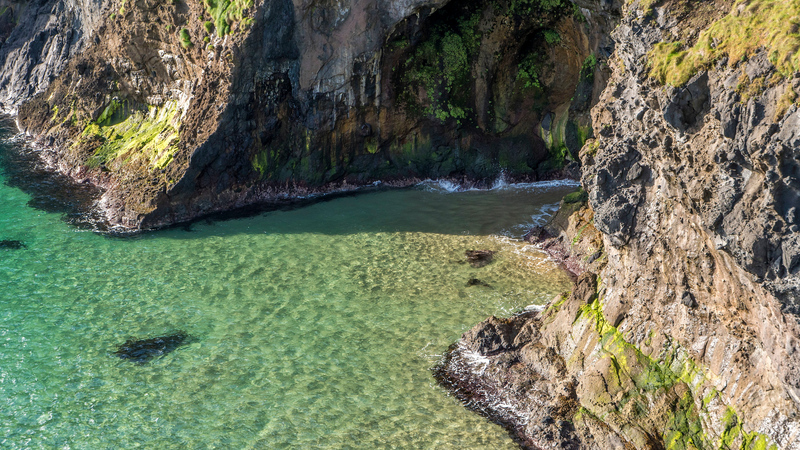 Breathe in the refreshing, salty air. It doesn’t take long to explore every corner of this small stretch of land, although you might find yourself becoming lost in your spectacular surroundings. I looked off to one particular island in my periphery and imagined how I would reach it. 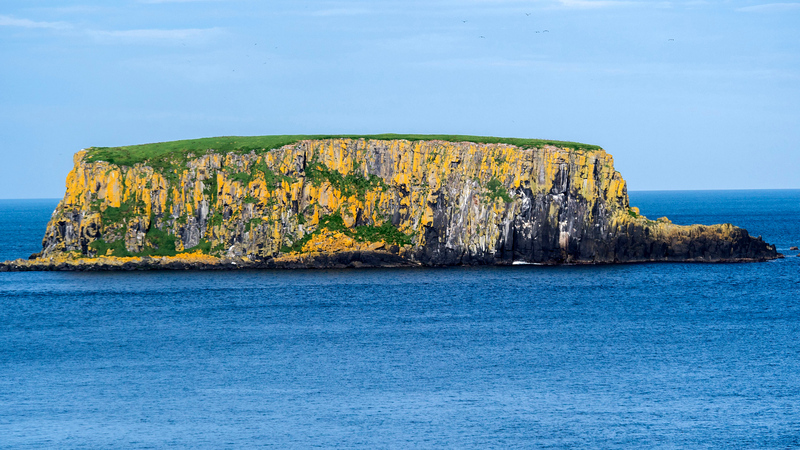 If I arrived by boat, would I manage to climb the jagged, rocky cliffs to the grassy top? Does anyone frequent this dreamy destination? I love visiting corners of the earth where I leave with more questions than answers. Early that morning, we got a tip from the front desk staff at the Clayton Hotel Belfast. 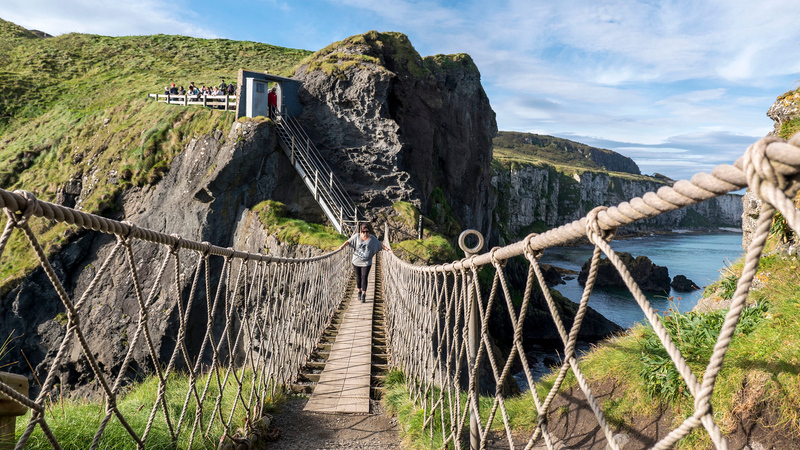 After you complete the journey across the Carrick-a-Rede Rope Bridge and back, you can pick up a really neat little souvenir. 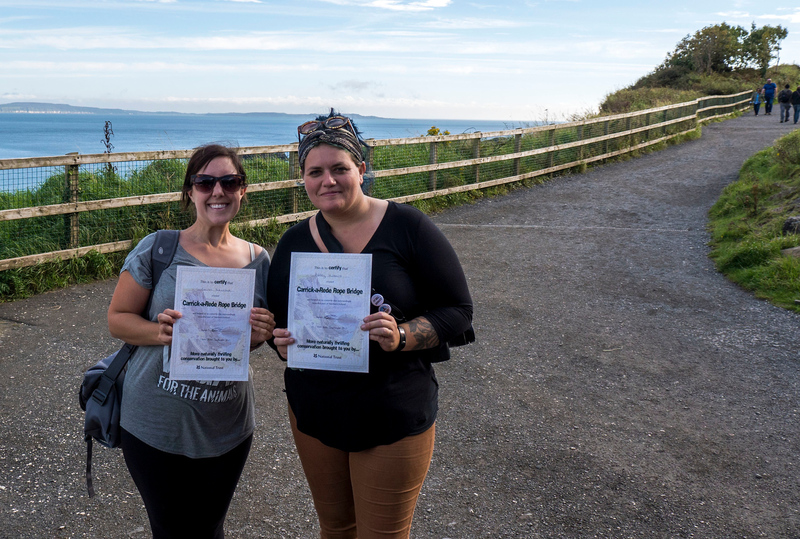 Back at the ticket booth, we both purchased personalized certificates for a nominal fee (I believe it was £1) to demonstrate that you braved the bridge. 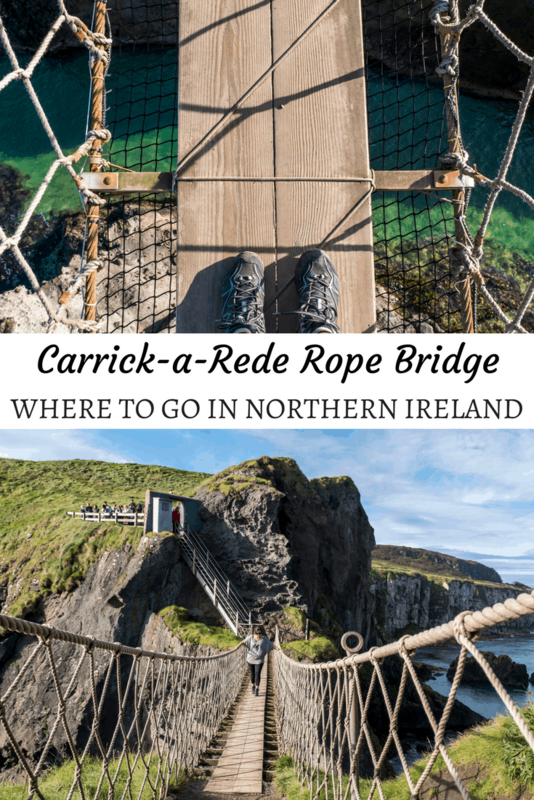 Looking for more photos of where to go in Northern Ireland? 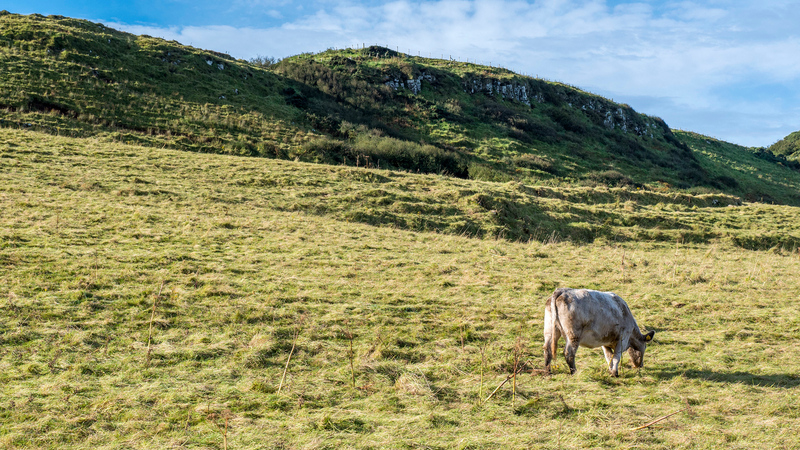 Check out my Causeway Coastal Route photo album. I travelled the Causeway Coastal Route in a day, spending the previous day in Belfast and the evening in Derry. In Belfast, I stayed at the Clayton Hotel Belfast (read reviews). In Derry, I stayed at the lovely Bridge Bed & Breakfast (read reviews). 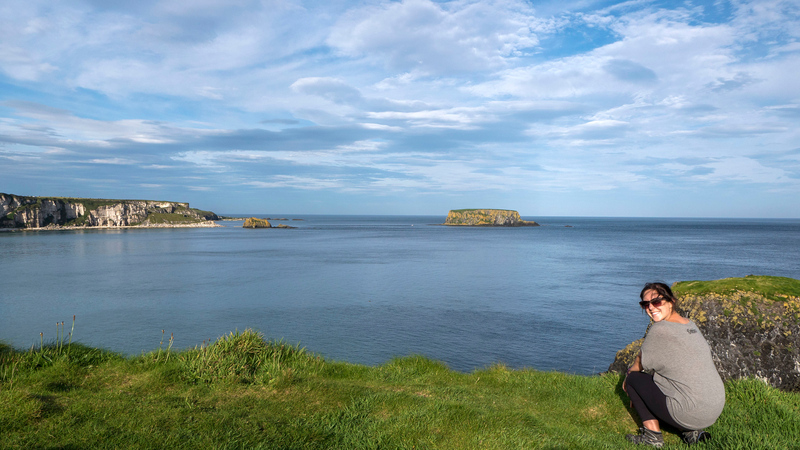 Must See Northern Ireland: Ballintoy Harbour, Ballycastle, and More!